Clinical and diagnostic neurology has been revolutionized by the implementation of neuroimaging in a variety of disorders. 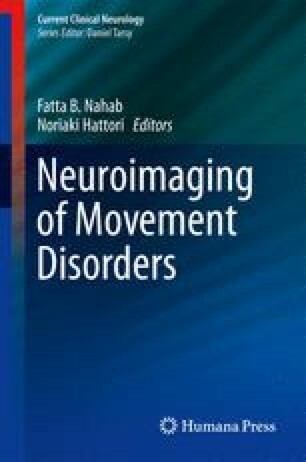 While applications for stroke, neuroimmunology, and neurooncology have been widely disseminated and become instrumental for identification and treatment of disease, imaging in neurodegenerative movement disorders has been a more challenging application. As the understanding of gradually degenerative conditions like Huntington’s disease (HD) has evolved, hypotheses regarding stages of variable dysfunction before cell death—periods of time perhaps years or decades in advance of clinical deterioration—have driven the search for biomarkers of disease. Sensitive and specific identification of biologic and anatomic changes before clinically manifest disease may offer new windows for more effective therapeutics. In this setting, newer imaging techniques have emerged as promising means to better characterize disease progression by integrating structural and functional data. We review the anatomical and functional observations made using basic and advanced imaging techniques in HD and other choreas. HD is the most prevalent choreiform disorder and most extensively evaluated via imaging, thus will be the focus of this review. Two other neurodegenerative disorders with prominent chorea, neuroacanthocytosis and Wilson’s disease, will also be discussed.